Are you ready for more Finnegans Wake? On 4th May 2017, the international artistic co-operation known as Waywords and Meansigns will release the third installment of its ongoing project of setting James Joyce’s masterpiece to music. More than 100 artists from 15 different countries have contributed their talents to the upcoming release, including a handful of Poles. The notoriously incomprehensible novel by James Joyce has captured the imagination of modern audiences since all of Joyce’s works were released in the public domain in 2012. 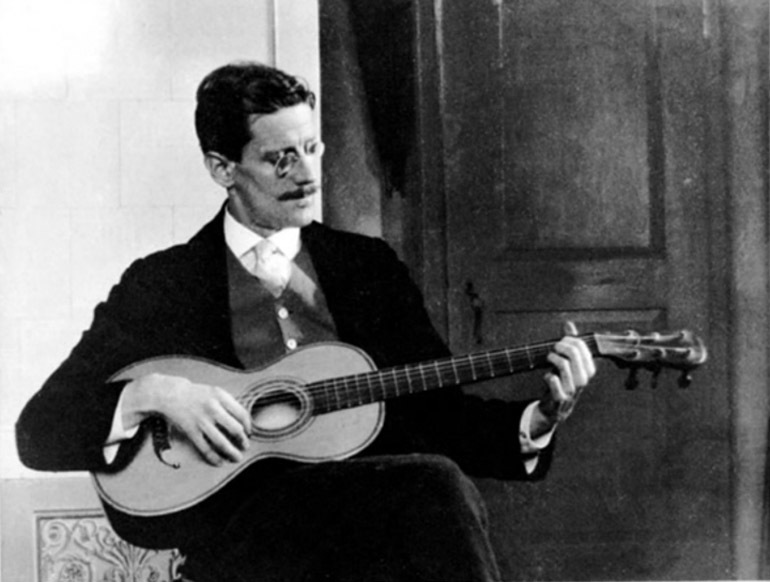 Since then, illustrators, translators and musicians have flocked to Joyce’s linguistic playground in search of inspiration. The leading figure of Finnegan-mania in Poland is Krzysztof Bartnicki, who dedicated 10 years of his life to translating the excruciatingly complex novel into his native language. 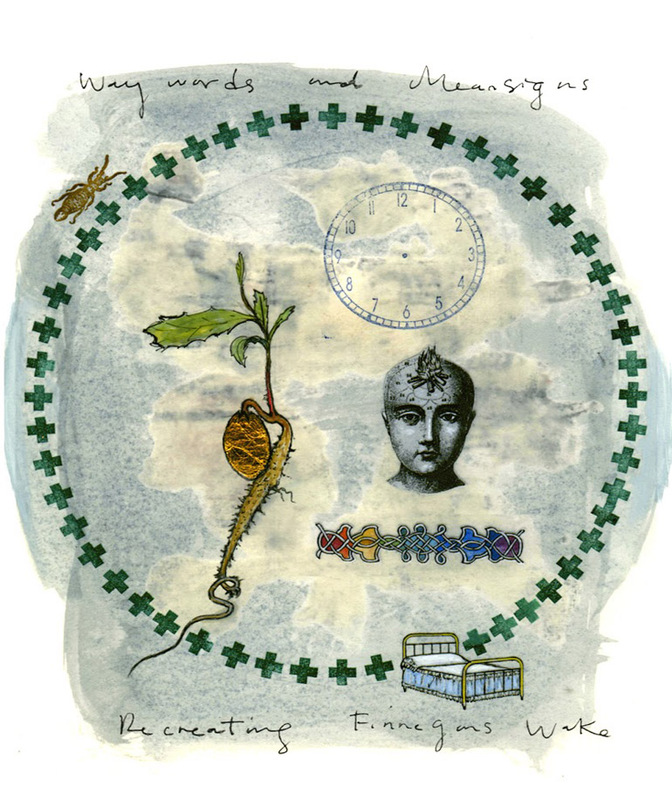 Bartnicki, who has also created his own musical adaptation of Finnegans Wake, will collaborate with Bouchons d’Oreilles and Wojtek Kurek for their contribution to the Waywords and Meansigns project. Bouchons d’Oreilles is a duo comprised of Łukasz Kacperczyk and Mateusz Wysocki who, along with Wojtek Kurek, are known for their work with improvisation and experimental music. Their track reflects their musical interests. A deep and lyrical male voice reads a passage from the novel while in the background, music and sounds flit in and out, ebb and flow, moving unpredictably. The combination is simultaneously unsettling and trance-inducing, with both the text and the music being utterly confusing yet strangely captivating. The 4th May release of Waywords and Meansigns will have yet another track by a Polish collaboration. Pictorial Candi, an unconventional songstress whose music is best described as ‘inner space pop’, joins forces with talented instrumentalist Kamil Szuszkiewicz. Pictorial Candi’s echoing voice recites Joyce’s passage over the foundation of an unsteady beat and ethereal ambient noises. The track gives the listener the impression they are flying through the cosmos with the words of Finnegans Wake floating around them like some far-off alien signal. These are just two tracks off the album, which aims to make Joyce’s novel more accessible to this generation. Not only do they hope to achieve this by interpreting the text through the global language of music, but Waywords and Meansigns also makes their compilations free to download from the Internet. So if you feel like wallowing in the infinite possible meanings that Finnegans Wake inspires, be sure to check out the Waywords and Meansigns website after 4th May 2017 and get ready to be confounded!